Nomadic by designation, JoAnna Polonais is a Canadian-born writer and freelance consultant who spent four wildly exciting years living in the cacophonous and mercurial city of Cairo. Though she left Egypt in 2013 she is forever restless and has yet to find a place to call home. JoAnna currently hangs her hat in Brooklyn, New York. 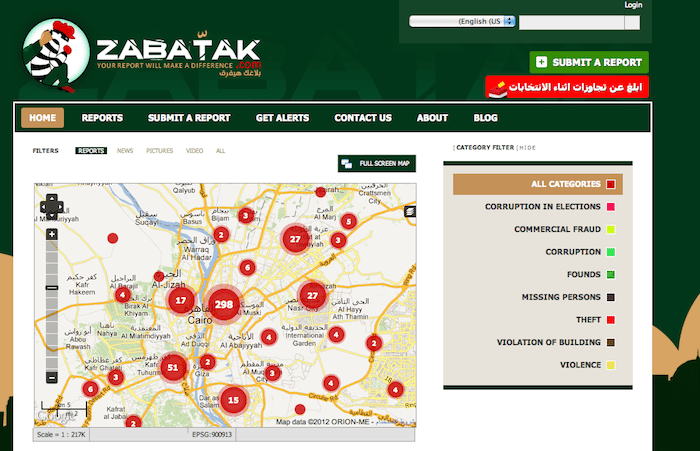 Welcome to Zabatak, Arabic for “I caught you,” a creative anti-corruption initiative that has come of age during Egypt’s revolutionary period. It doesn’t matter how old you are, where you are from, how you’re dressed up, sexual harassment is a worsening danger that women face in Cairo.